After many long months of preparation and conflicting schedules, Danya and I were finally able to make this session happen. And I’m glad we did: I was lucky to have an assistant in the studio on the day of Danya’s session (the universe was really aligning that day!). We pampered her with chocolate, luxurious make up application and even a fancy braided hair-do: to keep the lights from getting tangled up in her gorgeous long hair…. at least the was the plan. We had some tricky lights that kept wiggling their way into her braid and trying to go home with her. We challenged ourselves with this session. As I’m always trying to improve the experience for each client and make sure that each lovely woman has a session that is all her own, even if the concept has come from another session, I made sure to bring out and capture the uniqueness that is Danya. 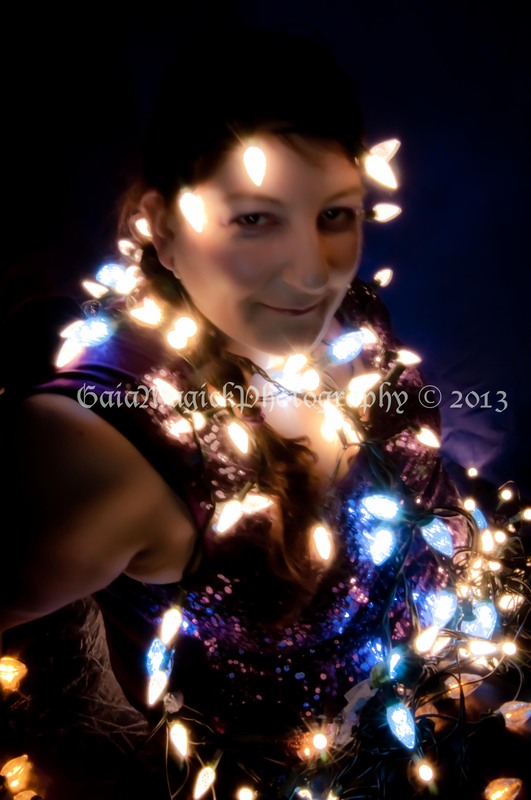 I know Danya likes Pin up photography so i tried to balance the pin up poses with the trickiness of holiday string lighting. We did a pretty good job. Danya looks fantastic! 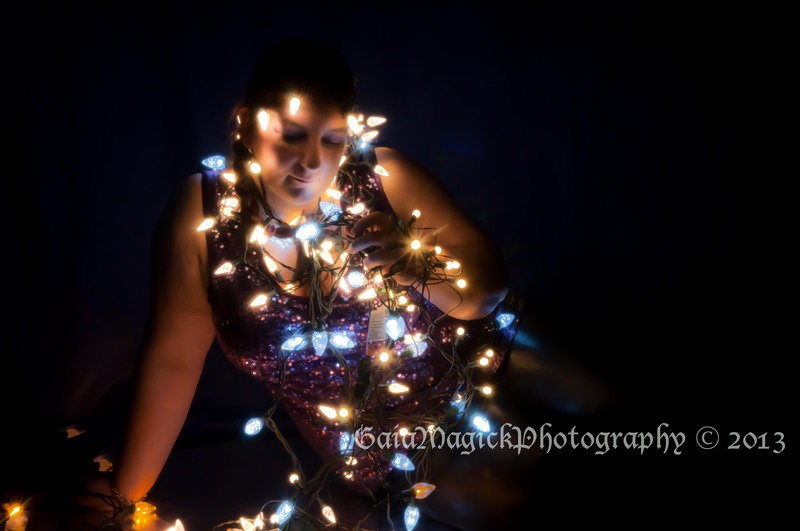 This session had the highest number of lights I’ve used yet, and that proved a challenge of its own. They were heavy and ended up in tangles together. They are still on the studio floor waiting to be untangled and put into their respective boxes….I should go do that now! Coming up, some images that I took from the Femme Natale Pole Fitness Fundraiser from March 2nd, and a self family portrait princess style I have this weekend.